A fresh talks process aimed at resurrecting Stormont is set to be convened in the early summer, the Northern Ireland Secretary has said. Sinn Fein will not give ground on the terms of a powersharing deal the party insists it struck with the Democratic Unionists last year, Michelle O’Neill has said. A restored executive cannot have any veto over the working of the border backstop, Sinn Fein’s Stormont leader has said. The Government will make no further efforts to restore Stormont powersharing until after May’s council elections, Sinn Fein has said. The Irish Government has reiterated its call for a public inquiry to be held into the murder of Belfast solicitor Pat Finucane. The DUP must step back from the brink of pushing Northern Ireland to a no-deal Brexit, Sinn Fein has warned. Northern Ireland’s powersharing crisis has left young people’s mental health services on their knees, the Children’s Commissioner has warned. Arlene Foster has warned Sinn Fein that the restoration of devolution is “no game”. Sinn Fein accused the UK Government of indulging in a sham merry-go-round after a meeting to take stock of Stormont’s powersharing crisis failed to chart a way forward. Relations between Westminster and Brussels are under increased strain after European Council president Donald Tusk said there will be “a special place in hell” for people who promoted Brexit without any plan for delivering it. There will be “a special place in hell” for those who promoted Brexit without any plan for how to deliver it safely, European Council president Donald Tusk has said. The Prime Minister has begun a round of meetings with Northern Ireland’s political leaders as she strives for a breakthrough on the Irish backstop impasse. The main pro-Remain parties in Northern Ireland have again joined forces, this time accusing the UK Government of an “enormous act of bad faith” over the border backstop. Stormont Assembly members have received more than £10 million in salaries and other contributions since powersharing collapsed. Housing and office development will be halted across large parts of Northern Ireland by further deterioration in the sewers, builders have warned. The first meeting of the newly reconstituted Northern Ireland Policing Board was dominated by last weekend’s car bomb attack in Londonderry. Nationalist parties north and south of the Irish border have launched an “historic” partnership aimed at unfreezing the Stormont deadlock. Sinn Fein’s leader has accused the Government and DUP of prolonging Stormont’s powersharing crisis to allow an unreflective view of Northern Ireland to be presented in the Brexit debate. DUP leader Arlene Foster has called on the British Government to end decision-making “limbo” in Northern Ireland after officials said they would not appeal against a court judgment seriously limiting their powers. Mary Lou McDonald has urged the Orange Order to think again after it snubbed her offer of a meeting. 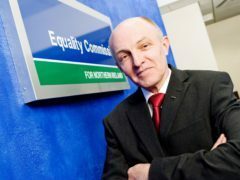 A Northern Ireland department failed to comply with its equality obligations ahead of a controversial decision on cutting an Irish language bursary, an investigation found.